Global Horse Culture: Egyptian Pantomime! 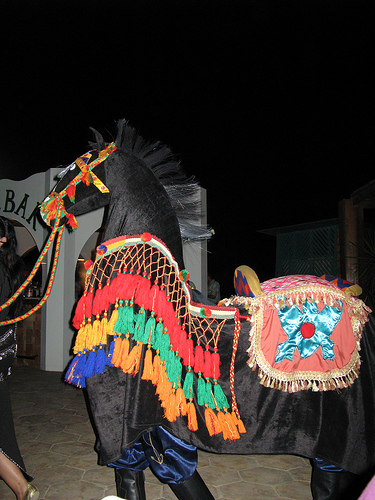 Here's a pantomime horse in Egypt! I posted about the British tradition of pantomime horses some time ago. I know nothing about Egyptian pantomime, though this one strikes me as being in the British style, despite the distinctively Egyptian tack on the horse.